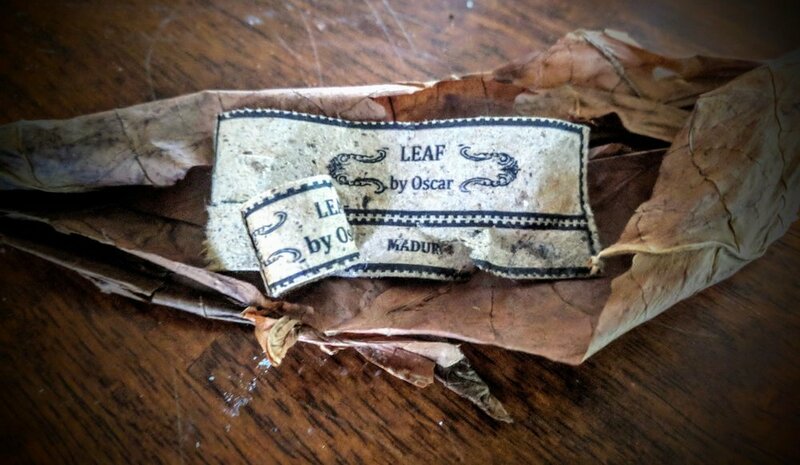 Leaf by Oscar's maduro is, at no surprise, the darkest wrapper offered. 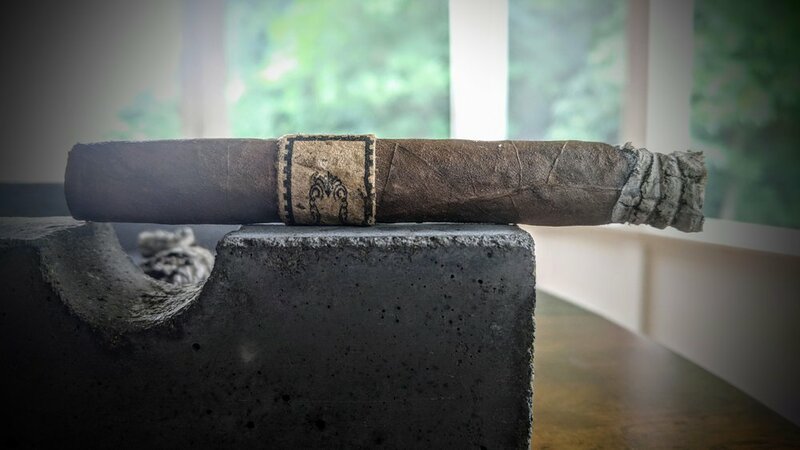 This Nicaraguan Jalapa maduro leaf is quite dark but certainly far from creeping into oscuro territory. The wrapper has a wonderful dark chocolate color with a great oily sheen to it. While veins aren't hard to locate they do tend to be small and blend in with relative ease. The seams on the cigar are virtually invisible and there are no soft/hard spots to be found. Of the three other Leaf by Oscar lanceros I've reviewed, this is by far the best looking. Just like the other Leaf by Oscar lanceros, the maduro uses a triple cap with a nicely done pigtail at its peak. The cap is perfectly done - dropping into the body nicely with tight, not readily visible seams. The foot shows the blend well but is otherwise unremarkable. A nice blend of coloration - from dark brown to creamier tans at the center. For a maduro, the aroma is fairly light. There is definitely some leather/cocoa on the wrapper and the foot dials up the intensity on the cocoa along with some coffee beans. I went for a straight-cut on the lancero's pig-tailed cap. The cold draw is delicious - lots of dried dates/raisins, sweet chocolate and a little coffee as well. The draw itself has a nice resistance to it but seems ample. The lancero lights up nice and even with a pop of pepper on the first few puffs. The peppery harshness continues but ushers in some vintage tobacco, sweet cream, vanilla and bit of coffee. The draw is great - open with slight resistance to it. As the first half-inch or so burn down, the burn line is slightly wavery but all in all nice and clean. The medium grey ash stacked well but didn't hang on long - dropping about 1/2-inch into the smoke. Smoke production on the Leaf Maduro is fairly light. While resting the smoke fades away almost entirely. While puffing, the cigar offers a moderate amount of smoke - rewarding but definitely not excessive. The flavors on the first third of this maduro are a little confusing. Most maduros hit you fast with a few easy to spot flavors - raisin, chocolate and coffee. 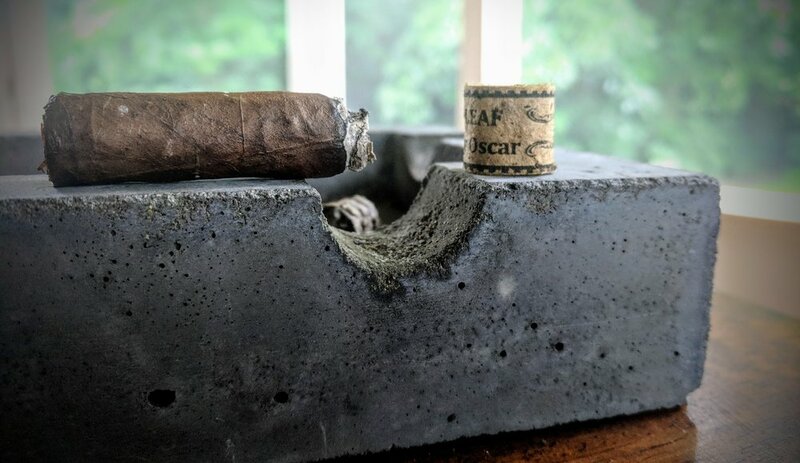 The first length of the Leaf by Oscar maduro continue to be dominated by a heavy handed pepper spice. The raisin is easier to find between the pepper on the retrohale. In fact, the retrohale brings to mind a oatmeal raisin cookie where someone screwed up and added pepper. On the palate, besides the lingering black pepper, there is some dried stone fruit - like dried cherry. Cocoa and coffee are around but it's more on the bitter end of the spectrum than the sweet. Around the halfway mark and the pepper has softened slightly. Strangely no other flavor has really popped out to dominate the palate. There is a definite soft, lightly sweetened stone fruit flavor - almost like a cherry jam. The coffee bitterness has smoothed out as well. No changes to mention on the draw/burn/ash - all continue to perform as noted above. More pepper ... sigh. The last third starts with a blast of pepper yet again. It's not so much that I don't appreciate the pepper, it's just the pepper is so dominant on the forefront and lingers on the palate to the point I really can't appreciate the other flavors. To me, any flavor used - from cooking to cigars - should have a balance. There always needs to be a counter-flavor to help you appreciate the entire experience. So far, this maduro is just lacking that level of complexity. There is a little bit of roast pork / roasted vegetables coming into the mix - which does pair better with the pepper. Also, even with about three-inches to go the cigar has started burning quite hot - even with shallow puffing and long rests between. It's certainly not helping the experience. The draw has stayed at just about the same level of resistance throughout the entire smoke. It's open but not too open - so I'm having a hard time blaming the hot burn on the draw. The burn line is this cigar's saving grace. Honestly, if it went out or started to require correction, I might just let it go and reach for something else. The ash got a little more rigid later in the cigar but still had trouble hanging on past about an inch or so. Throughout the smoke it has been a medium greyish-black. A maduro laced with peppercorns? This was an intriguing cigar flavorwise. The pepper dominated the experience to the point that other flavors were muted. Definitely not the experience I'm looking for from a maduro at all. The brief moments were the spice subsided and the cocoa, vanilla, cream and stone fruit could get some traction were the highlights. The cigar was one note with nuanced other flavors temporarily entering and exiting quickly. In that regard, it completely lacked balance. 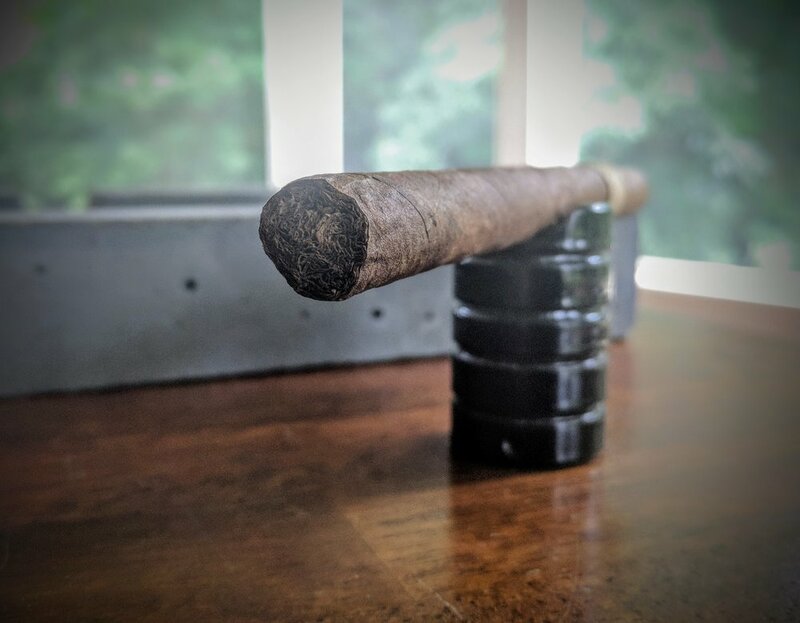 Like the other Leaf cigars, the lancero was expertly made technically. It burned perfectly with a great draw. No touch-ups or extra attention were ever even a consideration. 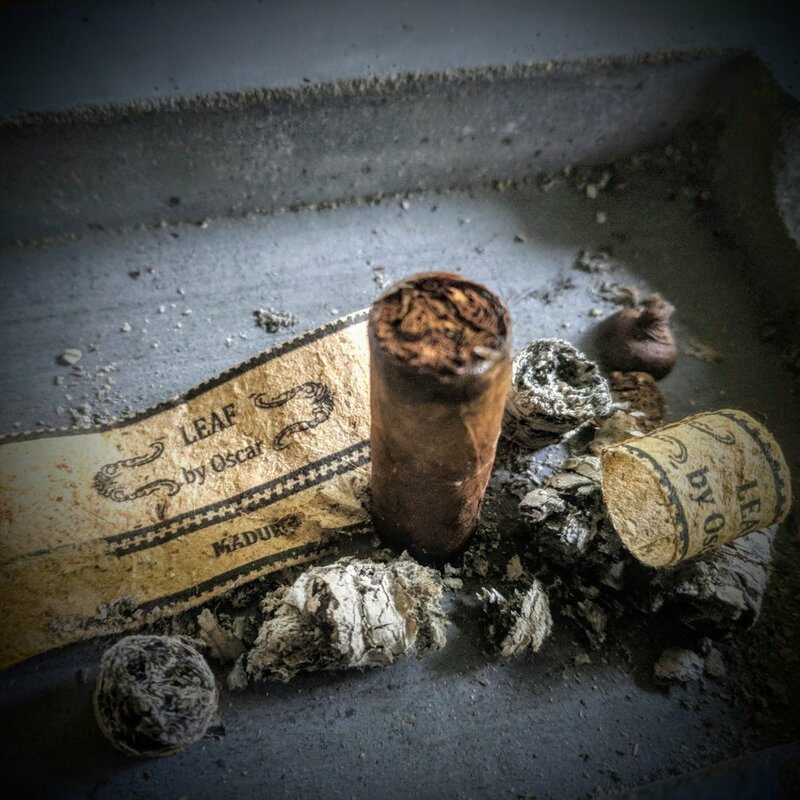 The lack of complexity and balance on the Leaf by Oscar madura lancero really frustrated me. The cigar's construction and burn are damn near flawless but the flavors just don't warrant a very high rating. The lack of balance inhibited any complexity that could have been. For the excellent attention to craftmanship that went into rolling this cigar, it seems the blend fell by the wayside. Disappointing from what I had hoped would be the best of the Leaf by Oscar lanceros. 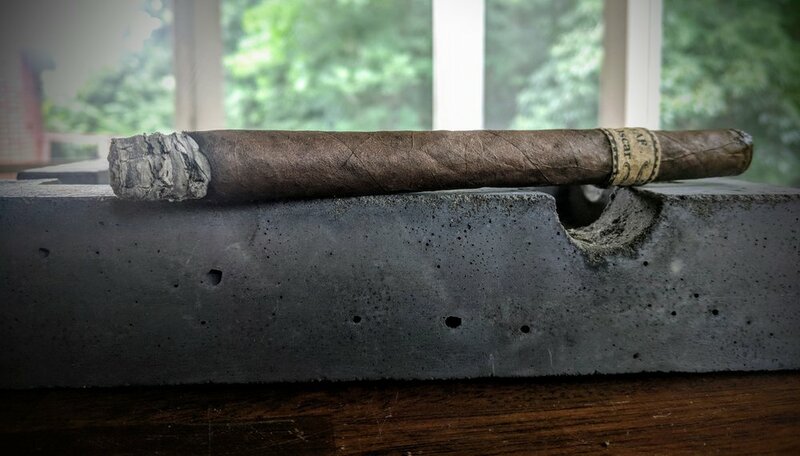 I'm hoping these traits are limited to the few lanceros I smoked for this review and will certainly be eager to review the other vitolas in the maduro line. Everyone loves the Leaf by Oscar maduro! I could not find a single critical review of it and it makes me wonder if I got a run of duds? 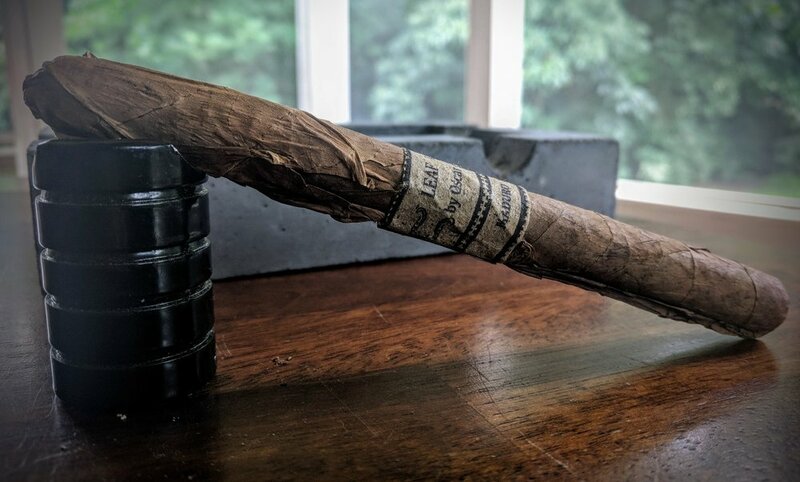 I smoked three stogies over a few days and each one was a carbon copy experience. My review may be overly harsh on the cigar but I feel comfortable standing behind it. 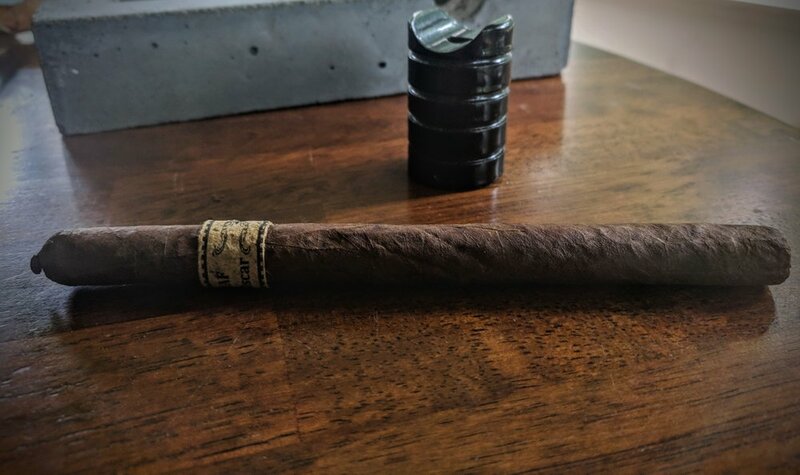 I'll definitely continue to smoke these Leaf Maduros - especially the toro vitola - and probably try to update with a review sometime in the future.